Fairmont is a fascinating hotel brand to examine; albeit one that's sometimes difficult to describe. Born of a tradition of Canadian railway hotels and U.S. landmark properties, the brand is a storied one that seems to snuggle comfortably into any hospitality segment it tries. I found both the historic property in San Francisco and the brand new build in Austin to be faithfully executed and brimming with distinctive, charming character, but I had yet to experience what the brand could do in the resort sphere. Sometimes brands that work in city centers don't translate well to resort environments—a machine that's precision-perfect for the big city might creak a little once it tracks in some beach sand. 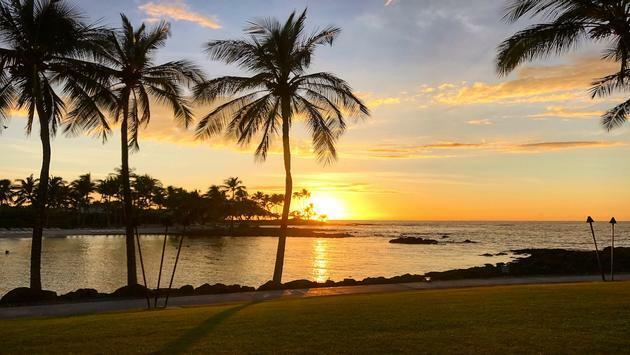 The Fairmont Orchid is nestled onto a dramatic lava rock shore on Hawai'i Island's Kohala Coast, and it's somewhat disarming to descend from a lunar surface-like landscape of the main highway into the lusciously manicured, plumeria-scattered grounds of this gracious resort. Built in the 1920's plantation style, the grounds seem at once both expansive and accessible. Public spaces, like the porte-cochere and reception, are quite intimate—no endless maze of tour desks and group check-in and information podiums here. Most of the spaces feel quite "boutique"; even with the resort fully committed to with bookings during my stay, it felt about half full. Perhaps that's the wisdom of the resort's expanse. Guests disperse to pools, golf, beach, or dining throughout the day, each of which are well-staffed to handle any additional demand. Pool attendants hunt out the best chairs for beach or pool views, sun or shade before covering them and providing towels. Nobody seems so busy that they don't have a moment to chat with guests about their stay or the local area. In conversation with the staff, it's easy to get the feeling they're as in love with the place as they want their guests to be. Most volunteered stories of how they came to resort, and a common theme was one of attraction, followed by homecoming—first drawn, then embraced. As if leisurely pool sides and shady beach cabanas weren't enough of a draw, Fairmont offers an extra level of luxury in the form of Fairmont Gold. These guests leave their cars in the care of the included-valet and are escorted through the grounds to the top floor Fairmont Gold Lounge for registration, where a dedicated Fairmont Gold Manager works to make an exceptional stay. One morning I wondered if I might access a beach cabana a bit early, and it was arranged. Throughout the day, the lounge has food and beverage presentations, from a decidedly lavish breakfast spread to afternoon tea, evening hors-d'oeuvres, followed by desserts and nightcaps. Guests wanting to take in the view and the trade winds have outdoor seating options—perfect for breakfasting to the sound of the surf and the bird life coming awake in the tree canopy. Guest rooms are standard Fairmont plush comfort, with marble bathrooms, ahh-inducing beds with 500 thread count linens, and well-wired furnishings—one's never too far from a device charge. Powder rooms are stocked with rose-scented Le Labo bath amenities, common to other Fairmont Hotels; perhaps this might be an area where a more regionally inspired fragrance might further enhance the guest experience. Hawai'i Island doesn't naturally abound in beaches, but the resort sits near a sheltered lagoon with a tranquil white sand beach. The lava rocks, however, make for spectacular snorkeling. The beach services desk provides snorkeling equipment for a fee (equipment packages are available for longer stays) and it's a great way to spend an hour in the morning or afternoon—in addition to scores of reef fish, I saw more than a few sea turtles lazily nibbling away at the algae. Outside of the Fairmont Gold Lounge, there's no shortage of places to dine. In the evenings, Brown's Beach House has plenty of palm-shaded outdoor dining where guests can enjoy cocktails and fresh local seafood while watching the sun sink low over the lava rocks and the Pacific Ocean while the resort torches are lit. There's a more casual menu and atmosphere at the adjacent Hale Kai, which is also open for pool or beachside lunches. Guests headed out on an adventure or who just want a quick bite can pick up a generous-sized sandwich at Brown's Deli. Fairmont proves itself a brand that executes just as flawlessly in the resort space as in any other realm. Guests will be drawn by the promise of the luxury brand and the siren call of Hawai'i, and fully embraced by an effusively warm employee group. I've seen discounted rates from around $300 per night plus tax. The Resort Fee is $30 plus tax and includes self-parking, internet access, and PressReader access. Valet Parking can be added for $10 per night in addition to the resort fee. Don't forget a waterproof camera. I got some good shots of honu, or green sea turtles, while snorkeling directly in front of the resort. The hotel sits within the larger Mauna Lani Resort; complimentary shuttle service to shopping and other attractions within the resort is available at the porte-cochere. Hawaiian cultural activities such as introductory hula lessons and turtle talks are available three times daily at the beach service hut and are included in the resort fee. 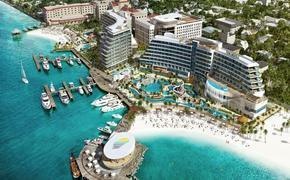 A full-service spa and significant retail outlets are also available onsite. Accommodations and some meals were furnished by Fairmont Orchid in preparation for this story. The author recognizes the importance of Hawaiian Language diacritical marks such as the kahako (macron), but some may have been omitted for web browser compatibility.